Everybody should be familiar with the "Everyday Riddim" by swedish producer Kapten RÃƒÂ¶d which was one of the best riddims of the first half of this year. Now Kapten RÃƒÂ¶d teamed up with the Sound Quake camp for another hot 2009 roots riddim – the "Empress Riddim". 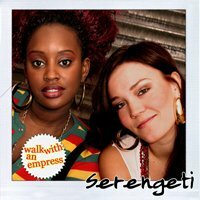 Named after the titletrack "Walk With An Empress" by swedish female newcomer duo Serengeti. This two girls are mashing up the swedish dancehall szene right now – for some reason they are sounding familiar – but listen by yourself! Sound Quake artist Cornadoor voiced another hit tune – "I Know" – underlining his talent for combinig tuff lyrics with catchy hooklines. "Only Jah And I" by Joggo and "Rasta" by Zed I are completing the selection. 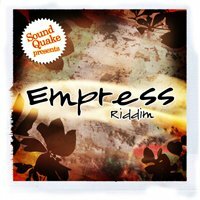 The "Empress Riddim" selection as well as a single release of Serengeti – "Walk With An Empress" will be available from Friday Oct. 23rd 2009 on all major download platforms like iTunes, Amazon.com, mp3.soundquake.com, Junodownload and others.